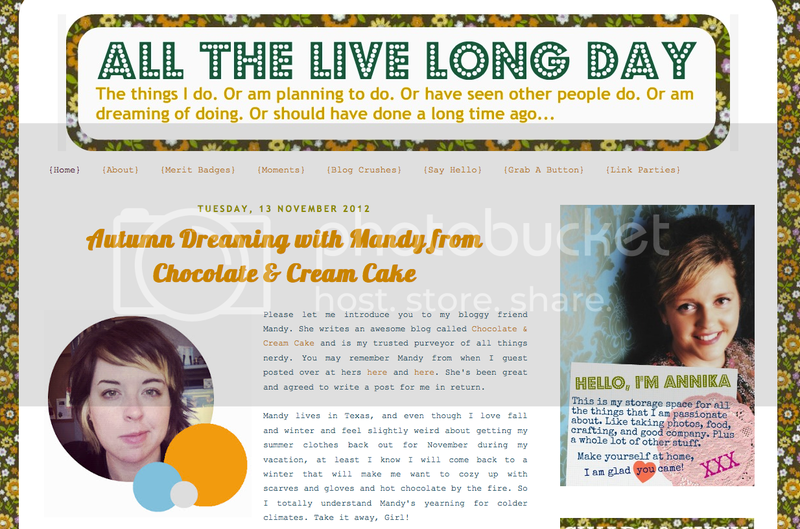 I had a guest post up yesterday at Annika's lovely blog, All The Live Long Day. Check it out if you're interested in reading about my colder weather wishlist! ahhh! thanks for including my tardis cozy on your guest post! and i'm so drooling over that wicket hat it's not even funny!